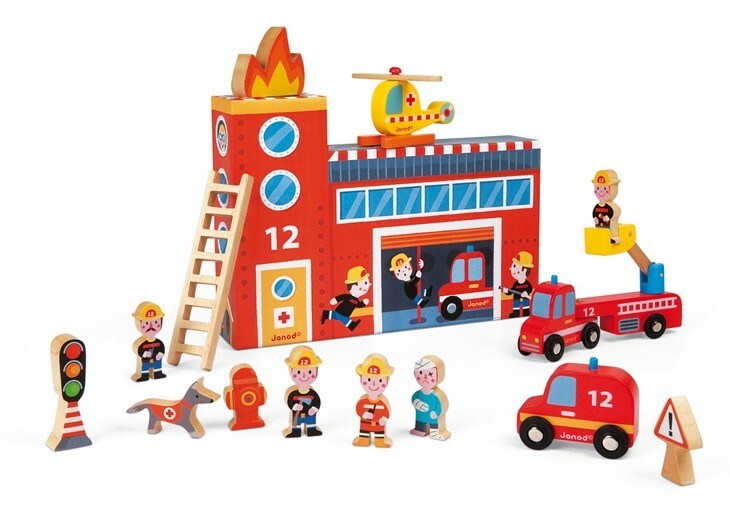 Designed in France, this 15 piece set includes everything you’ll need to create your own, personal fire house right in your playroom! 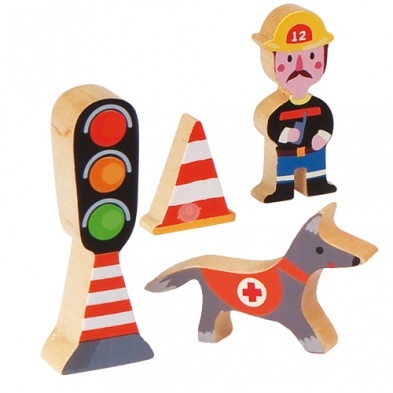 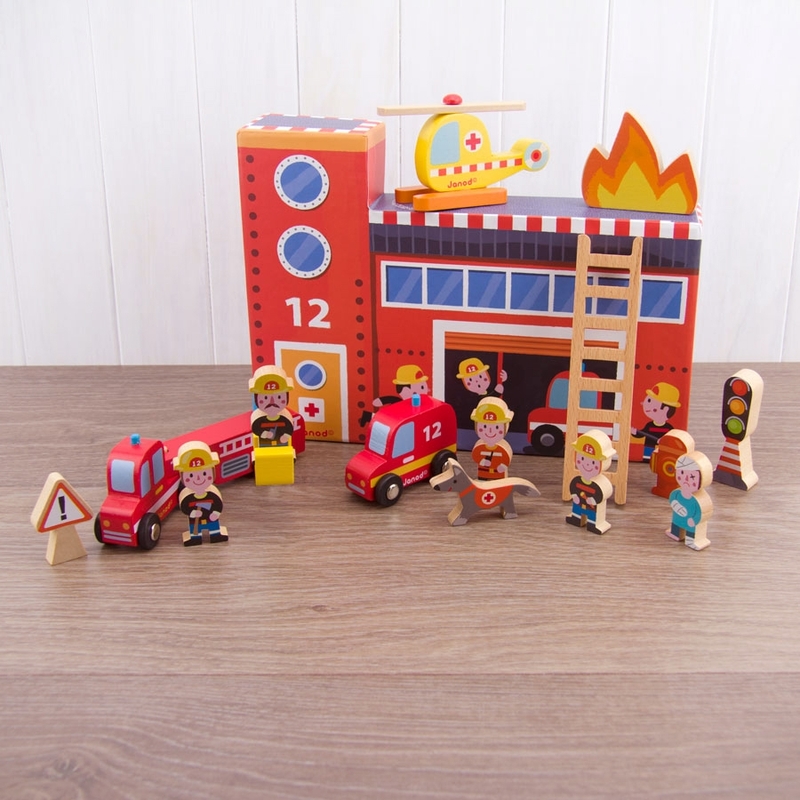 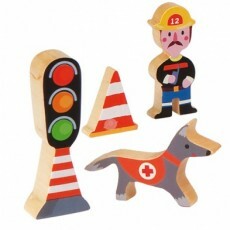 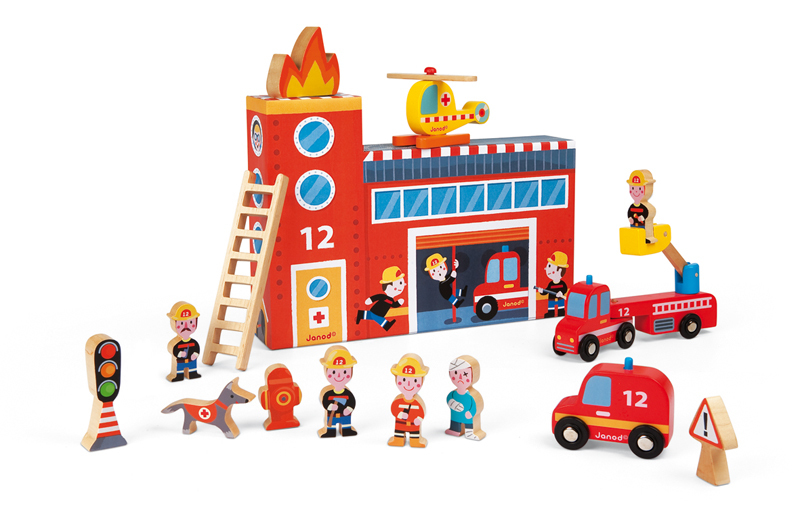 With fun wooden pieces shaped and painted as fire people, a fire dog, fire hydrant, stoplight, safety cone, fire truck and more, you’ll be creating your own fire rescue team in no time! 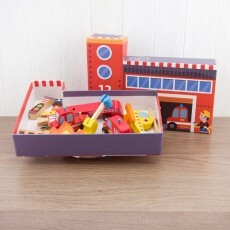 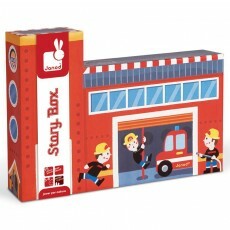 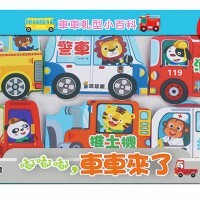 The Story Box Firefighters box is designed to be used during play as well, mimicking the look of a fire station! 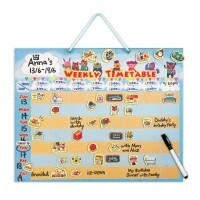 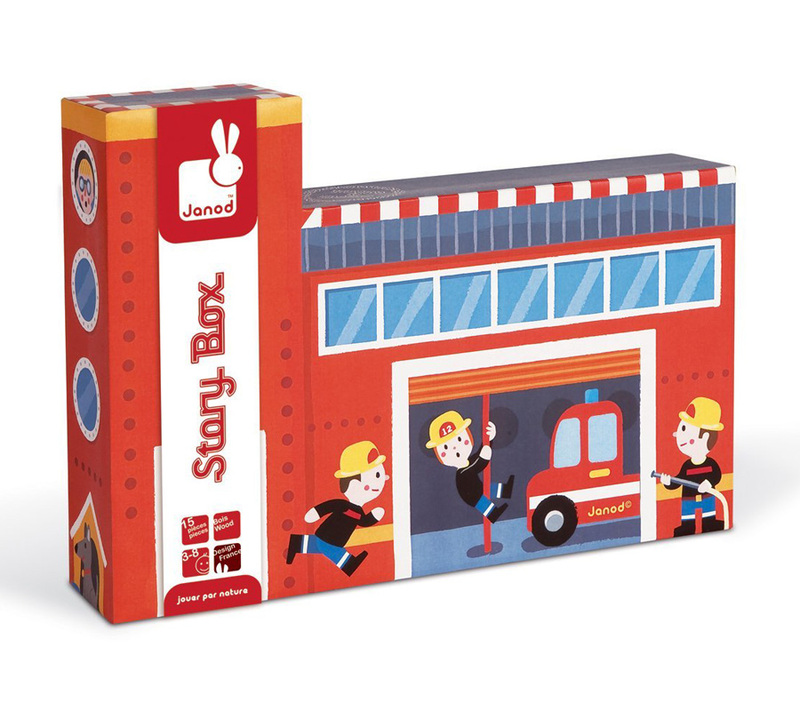 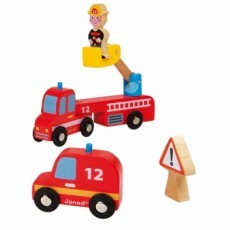 With Janod’s Story Box Firefighters, the playtime possibilities are endless! 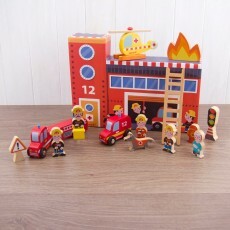 SKU: 8028. 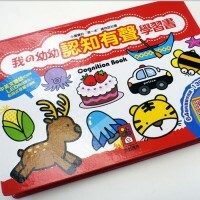 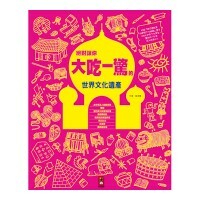 Categories: 圖書／故事書／繪本, 幼兒啟蒙認知, 拼圖／積木, 法國 Janod.